We have been distinguishing between complete sentences and fragments this week. Students have been writing and also identifying them in context. 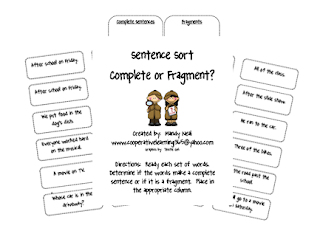 I created a sentence sort for students to identify them in isolation. Click the picture below.